With Toy Fair quickly approaching, USA Today gives us a first look at some of the G.I. Joe: Retaliation figures Hasbro will have on display in New York, in a little over a week. The sneak peek includes a slideshow with figures of Roadblock, Cobra Commander, Cobra Trooper, Duke, G.I. Joe Trooper, Red Ninja, Snake Eyes, Storm Shadow and Zartan. The aesthetic is similar to the direction we've seen Hasbro take with the final two waves of the 30th Anniversary line. The figures have realistic qualities to them with lots of natural drapes and folds in the fabric sculpt, as well as nods to pop culture reference like the G.I. Joe Trooper, who could easily serve as Spartan alongside Halo's Master Chief. 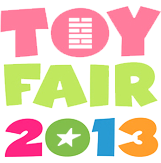 Toy Fair runs February 12-15, with our coverage beginning on February 11.